Review: Dan Willis (Michael Jackson: World’s Greatest Entertainer) – Espionage, Edinburgh. Directly following Dan Willis’ ‘Ferris Bueller’s Way Of…’, the Newcastle comic performed a themed comedy show in the same venue as a non-offensive, humorous tribute to Michael Jackson. 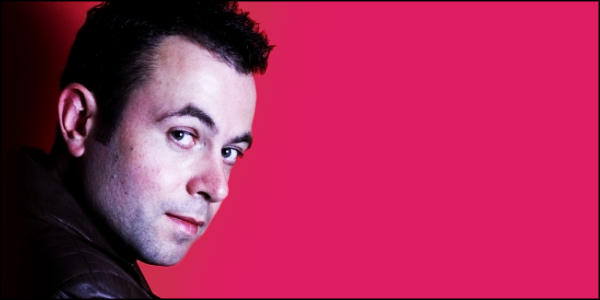 Having toured at this year’s Melbourne Comedy Festival, Willis brought it to Scotland for a full Edinburgh run at this year’s Fringe. And I know what the cynical among you may be thinking – a comedian doing a show centred on Michael Jackson isn’t likely to provide family friendly entertainment – but you actually could not be further from the truth. The premise of the show is to prove beyond any doubt that Michael Jackson is the greatest entertainer the world has ever seen – all done convincingly through numerous charts and statistics that could potentially put off your average comedy fan; however Willis’ amiable style and genuine enthusiasm for his favourite singer keeps the show rolling. I would not personally call myself a Jackson fan but I still enjoyed this hour-long show as Willis compared Jackson to the best of the best, including Madonna, Prince, Bob Dylan, Bob Marley and Elvis, proving they all can’t hold a candle to the King of Pop. This hour-long entertaining but obsessive fan tribute also acts as an excuse for Willis to show off his moves, something which, I’m told, has been the result of many of his past serious injuries. The Newcastle comic even invited members of the audience on stage to replicate the Jackson 5. Bizarre but thoroughly enjoyable.